BEIJING -- Placing a jar of feces on a pedestal next to him, billionaire philanthropist Bill Gates made a plea Tuesday for the safe disposal of human waste as he kicked off a "Reinvented Toilet" Expo in China. "You might guess what's in this beaker -- and you'd be right. Human feces," the former CEO of software giant Microsoft said. "This small amount of feces could contain as many as 200 trillion rotavirus cells, 20 billion Shigella bacteria, and 100,000 parasitic worm eggs." 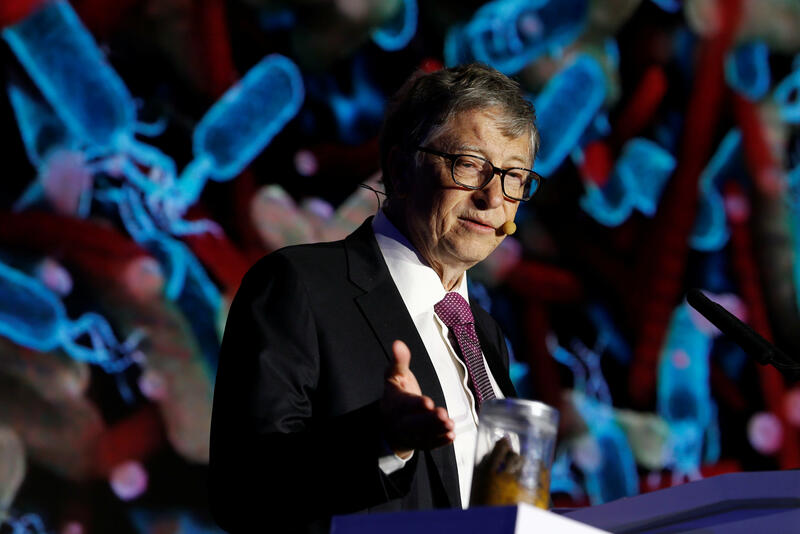 Gates, and the expo itself, remained focused on the need -- driven by present and future water shortages and a lack of infrastructure in many parts of the world -- for toilets that process human waste without the need for water-fed sewers.